We have listed a new property at 1 Weir CRES in Saskatoon. Welcome to 1 Wier crescent, this fully renovated home is ready for you. Walk into the open living room and dining room with vaulted ceiling and large kitchen with fantastic island in the middle and also features a gas stove and stainless steel appliances. The main floor has 2 bedrooms and 2 baths, off the master bedroom is a walk-in closet with en-suite that features a stand alone tub and separate steam shower. The basement is complete with family room, 2 bedrooms, 1 bathroom, an office and laundry room. The yard is fully fenced and landscaped and has a double car garage as well as front drive for additional off street parking. His home is centrally located with walking distance to the university and 8th st. And easy access to downtown. We have listed a new property at 743 Beechdale WAY in Saskatoon. We have listed a new property at 1610 Stensrud RD in Saskatoon. Fully developed modified bi-level on the quiet end of Stensrud in Willowgrove. This home features 4 bedrooms and 3 full baths, the master bedroom features an ensuite with separate jet tub and shower, as well as a large walk in closet. The kitchen is big and bright with vaulted ceiling, beautiful quartz countertops and stainless steel appliances. The basement is fully finished and features another bedroom, laundry with plenty of storage, a full bath and a bright family room. The backyard features a two tiered deck and covered sitting area and professional landscaping with stamped concrete. Take a walk through the virtual tour. We have listed a new property at 701 Main ST in Blaine Lake. Fantastic business opportunity, Right on the corner of Highways 40 and 12 is a busy gas station, convenience store, licensed restaurant, 8 bay garage with hoist and parts department as well as 2 living quarters with kitchens and a main office. The restaurant and bathrooms are completely renovated. The 8 bay garage would be a great opportunity for any service technician. Please visit our Open House at 1610 Stensrud RD in Saskatoon. Please visit our Open House at 800 8th AVE S in Martensville. Fantastic location for this 3 bedroom bungalow. Less than a block to school and on a corner lot. The kitchen has been updated and features quartz countertop. The main bath has been completely redone, and all flooring on main floor is upgraded. The master bedroom features a 2 piece ensuite. The kitchen overlooks the deck and large fully fenced yard. The basement is open for development and has a rough in for a 3rd bath. The driveway has been extended to make it a triple wide. Call your favorite realtor to view. We have listed a new property at Big River. Drive 2.5 miles north of Big River then turn left about 1/4 mile. On the left is 113 acres of open land with about 1/2 mile of tree lined shoreline and a year round road. Develop your own personal vacation compound on Cowan Lake or create several sites and resell. Shoreline faces to the southwest. While I LOVE talking real estate, I also love being in the kitchen. Here is my idea for a perfect Valentines date at home. A charcuterie board for 2. 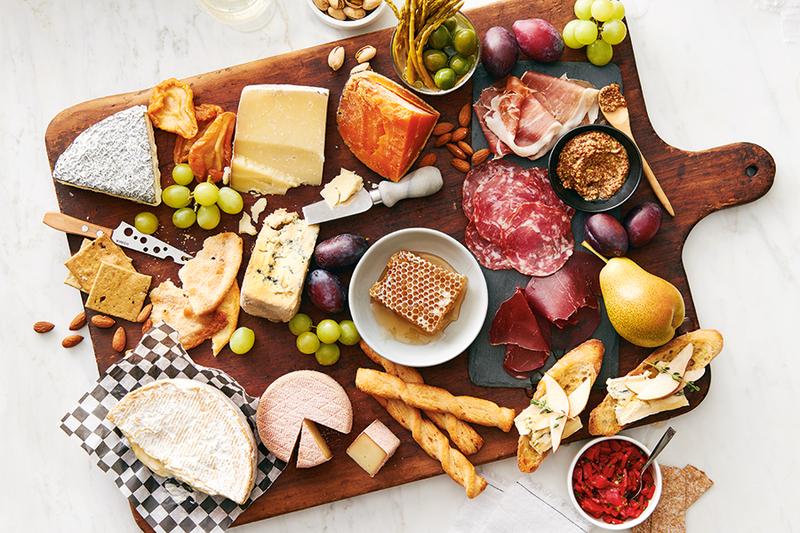 Both my husband and I love all different kinds of cheese, for our board we will definitely include a blue cheese, a soft brie, and a beemster. For the meats, we will have some homemade sausage courtesy of my brothers, proscuito, and some spicy chorizo. A good grainy mustard is always a must and some pickled vegys and olives as well. A few grapes and pecans will give a little sweetness to the board. And a few different crackers to go with it all. These charcuterie boards are so easy to assemble, you can use whatever you like. Happy Valentines week. We have listed a new property at 413 H AVE N in Saskatoon. Please visit our Open House at 413 H AVE N in Saskatoon.